Oil of vegetables. Possibly French. 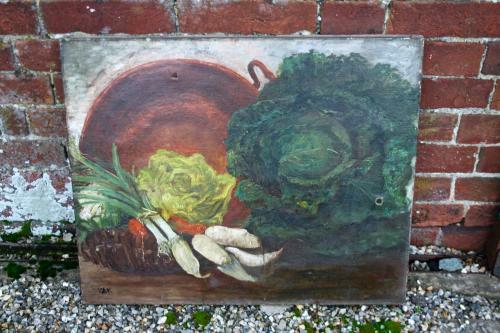 Would look great in a kitchen. There is a small hole on the right hand side which can be seen in the photos.